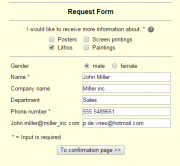 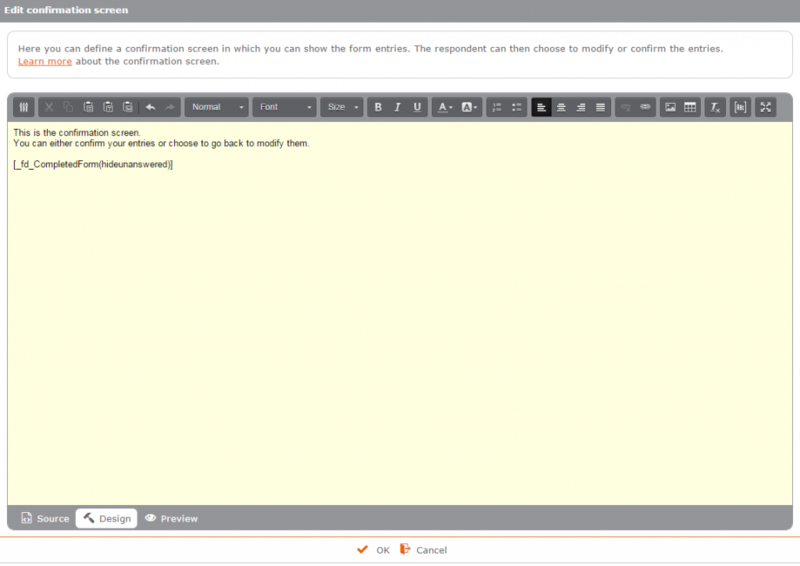 Display a submission confirmation screen with the completed form. 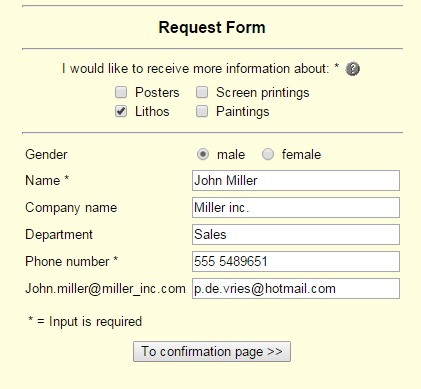 When using this feature, your form will have a button that says ‘To confirmation page’ rather than the regular ‘Send’ button. 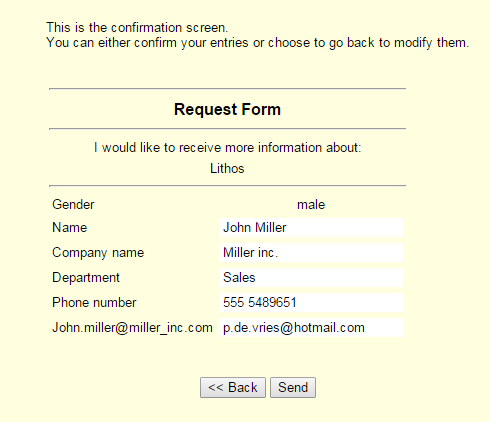 The submission confirmation screen can be designed any way you like. 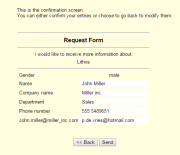 The screen has a ‘Back’ button to edit the form and a ‘Submit’ button for the visitor to confirm and send the form.